Later in life, he will prove time and time again, that limitations exist only in the mind, as he scuba dives, jumps from an airplane, plays sports, holds speaking events, inspires, writes books, and more. 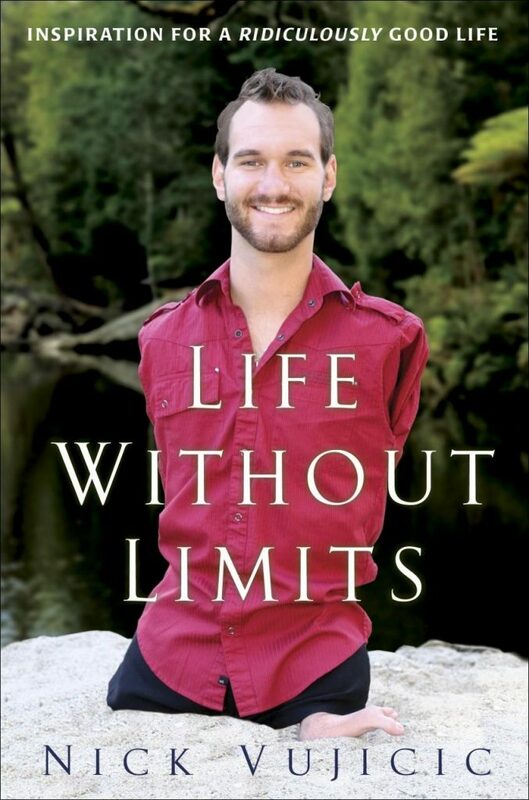 Who Should Read “Life Without Limits”? And Why? Well, it would be totally imprudent to categorize this book, as we believe that it is suited for everyone. You will be surprised by Nick’s determination and eagerness to defeat the odds and rise to the occasion despite what everyone else was saying. On a personal note: He is one of the most inspiring and influential people currently on this planet. It’s not about what he’s doing, but how and why. A shy boy, who turned into a sensation for millions of people across the globe. Born without limbs, but with a pure heart that follows God. You can’t just wait for a miracle to fall out of a clear blue sky, you got to get up and become one! Nick is regularly asked multiple questions along the lines of: How can you be so happy? People fail to realize that despite his physical limitations, Nick has been living the life of his dreams, no excuses, no mantras, no sorry, only cheerfulness. In his words, happiness can only be reached when you accept the imperfect version of yourself. For those of you that don’t know, Nick Vujicic was born without limbs but has decided to embrace life as it is. As we continue down this path, it’s crucial to give a second thought to your “supposed” limitations. God has created us under the notion of free choice, which means you are entitled to choose whatever life you so desire. If dejection is what you settle upon then, that’s what you’ll get. However sad and shallow life may seem at a given point, there’s always this one thing called – hope, lurking beneath the surface. To illustrate the real meaning of life, Nick Vujicic shared his parents birth-experience with their first child – him. During the pregnancy, Nick’s mom was told that everything is going smooth and there’s no reason to be worried about. But then all of a sudden, dead silence came to pass as the doctors laid eyes upon the baby. Dushka Vujicic, being a nurse herself, knew that something is wrong when they escorted Nick’s dad out of the room. Later on, they told them that their son was born with Phocomelia. It was a big shock, and everyone started crying, including the nurses. His parents were not keen to lay out how it all turned out at the day of his birth but waited until Nick is old enough to be able to take it. On his journeys, Nick often emphasizes the value of focusing on something you have, rather than on the things you don’t have at arm’s length. When we want to escape from suffering, more suffering is what we usually come across. A great paradox of human existence is that Nick’s parents worried that he was going to grow up without a future, and life will be too hard for him. They even considered adoption but decided to raise him as best they could. As a young infant, Nick was blessed for not knowing his state and the challenges that are yet to be revealed. Nick would perform some crazy stunts including hauling himself into an upward position, which left his parents speechless. Raising a child is by no means a picnic, but Nick always seemed to be eager to find a way on his own. No doubt, life can sometimes seem like a mess but then again; try not to judge yourself too quickly if things don’t turn out as planned. Remember, life is a marathon not a 100 meters sprint. As you move along with the flow, your existence will start to reveal itself, like a butterfly ready to engage with the world. Right about the time, Nick was fifteen years of age; he had felt this push towards God and asked for forgiveness. One time, Nick was preparing to give a speech at Knott Avenue Christian Church in Anaheim, pretty close to his house. The next moment, an older gentleman started shouting “Nick, Nick” to get his attention. He pointed to a man sitting next to him that had a child. That man stood up, lifted the child above the crowd so that Nick could see him. The boy also didn’t have any limbs. Upon laying eyes on him, Nick knew exactly what his parents are going through, and felt sorry for the boy’s “limitations” that will only amplify as it grows older. Life without meaning is nothing and a complete waste of time. Perhaps, if I can help this boy out a bit, then maybe he could overcome some of the challenges that I couldn’t in my early years – Nick thought to himself. His parents might look for someone to share their burden with, and by burden, Nick means not the child, but the cruelties of today. Nick knew that God was testing him; he knew that the boy brought to him was a sign of mercy, love, and faith. Time and time again, Nick emphasizes the importance of the spirit, and how nothing can break it unless you allow it. Hope appears with almost every breath, and this temporary life should not be taken for granted, to say the least. Nick reckons that hope is tied to eternity and should be regarded as a test one must undergo in order to see the Godly grace. God or this Universal force knows how much our hearts can bear, without exception; what sort of challenges should be put in front of them and why. One of the best things you can do to ease off the burden is to talk to someone. Nick admits that he doesn’t have all the answers, but when the lights go out, and darkness emerges, the pathway to salvation is harder to find. By nurturing a close relationship with the people you love and cherish, you can find compassion even in the most inhospitable environments. In 2008, Nick embarked on an adventure to China and went to marvel at the beauties of this ancient country. Later on, he saw a young Chinese girl whose eyes sprinkled with joy. Nick found out that this girl, along with four thousand others were struck by an earthquake which decimated an entire region and left them homeless. He was asked to speak in front of the kids of the orphanage, but he didn’t know how to raise their spirits. His team already packed up some stuff for them including blankets and clothing that will keep them warm during the winter. Upon arriving at the orphanage, Nick was the one left speechless. One kid after another approached him, and hugged him, not saying a word. A mind-boggling moment for him, indeed! FAITH (Full Assurance in the Heart) is difficult to grasp, especially to people who don’t believe in anything without seeing it. Living without faith and hope, as the Bible puts, loses its substance and meaning. Sometimes by putting trust in something that is far beyond your level of understanding, you can achieve peace and comfort knowing that someone is watching out for you. Also, Nick doesn’t quite restrict the notion of FAITH to religious beliefs, as he also endorses all other forms of establishing a spiritual bond. It goes without saying that FAITH must be tested before that person receives a shower of blessings. Nick in this autobiographical spin of life, also reveals that when he was around the age of ten, he suffered from depression. Constantly nagging yourself with thoughts of failure, was a consequence of focusing on the things you don’t have. Nick puts it delicately – I can never be an NBA star, but that’s okay because I can inspire people to be starts of their own lives. During a speaking event in Singapore, a distinguished gentleman approached Nick and asked for help. The man was what we usually call successful in the material sense, but had this gap in his personal life. He told Nick that his daughter who is 14 years old, feels intense dislike and hatred for her body and appearance. Nick understood this man’s pain because there’s nothing more painful than seeing your child suffer. God tells us that we are all wonderful and uniquely made. But sometimes, we find it hard to love ourselves for some vague and invalid reasons. Insecurities during this teenage period could induce lower self-esteem in advancing years, which could also lead to depression. When you fall prey to “I am not good enough” mentality, you are both right and wrong. So, Nick did a little test. While addressing the crowd, he asked: How many of you would like to be my friends? Almost all of them raised their hands, but when he asked: So, it doesn’t matter how I look, right? Then, they realized how we all are judgemental to some degree, more or less. Don’t get it the wrong way; you are not required to seek love and acceptance from others but redirect that effort in building a strong inner bond with yourself. Most of the time, we bury our beauty so deep within us, that any form of lightness that might announce itself is immediately stifled. Through our own actions and mindset, we amplify even the less significant problems and make a big deal out of everything. As imperfection kicks in, some of us can’t seem to cope with the idea of not having high stature in society. Individuality is lost, faith is nowhere to be found, and the one thing we have left is dismay. In all probability, even those people who appear perfect on the outside, have their flaws, shortcomings, and challenges. So many fearful and insecure people place emphasis on What if rather than on Why not? What if they tell me I’m not good enough? What if they scorn at me? What if I can’t keep up with my successes? When we take a critical look on Nick Vujicic’s life, we’ll notice that God has endowed him with the courage to turn struggles into life-lessons! Life is not milk and honey, and sometimes you have to count on the abstract to get the ball rolling. Of course, that’s easier said than done! Nonetheless, bear in mind that without faith, you won’t make it! Sometimes, what life has in store for us, is not in tune with what we want from life. But, that doesn’t mean that our desires come without limitations. It’s your job to open your mind and allow possibilities to cross the threshold. 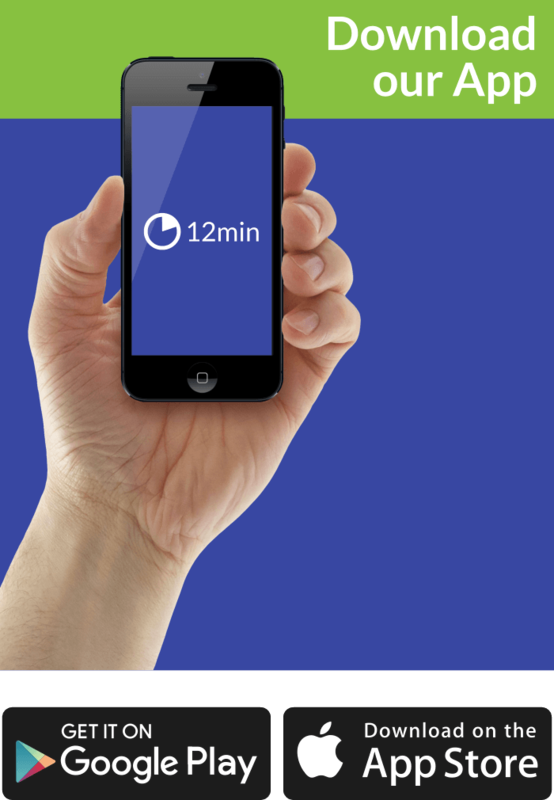 All the big talk count for nothing, if you are not inclined to take action. Sitting and ruminating on something doesn’t yield positive results! Don’t worry about the rest of the journey; just take the first step. You’ll see that life will open up a window of opportunity for you to exploit. Being constantly on the lookout for a better day is by all means exhausting. Why not today? Why do we always hope for a better future when our present is filled with misery and angst? Nick’s philosophy consists of embracing life as it is, and seize upon everything thrown in your way.